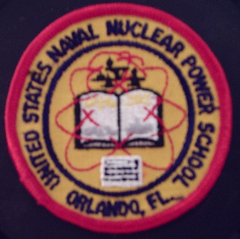 Atomic Power Review is proud to present the 124th Carnival of Nuclear Bloggers. This rotating event, appearing at the best pro-nuclear blogs every week, showcases selected entries from those blogs and allows anyone interested to see just what was on the minds of those behind the blogs during the past week. Followers of the Carnival are all too well aware that entry to the event when hosted here is predicated upon the requirement that those who enter take a look at some photograph or drawing and try to guess what it is they've seen before leaving the park, as it were. Today is no different. So, What is this? Whatever this is, it's clearly heavy and is being lowered into its intended position by a crane; a worker guides it at the bottom of the photo. Here's a hint: It's metal! Now that I've practically given the answer away, let's get to this week's Carnival entries. At Nuke Power Talk, Gail Marcus takes a look at some of the confusing, contradictory statements that are often made comparing the costs of nuclear power to the costs of other forms of electricity generation. In particular, she singles out one argument that maintaining nuclear power at 15 to 20% of the total energy mix in Japan would actually have a marginally higher cost than phasing it out completely, and goes through some of the issues that she believes make that argument questionable. Meredith Angwin, who normally blogs at Yes! Vermont Yankee, presents a piece she wrote which actually appeared at the ANS Nuclear Cafe site. In this post at ANS Nuclear Cafe, Meredith Angwin writes about lessons learned from pro-nuclear activism in Vermont. The main lesson to support nuclear energy is: Just Show Up. When you do show up at a hearing: bring a friend, maybe bring a prop (tritium-containing exit sign) and try to have some cookies. for use in power reactors. public discussion about nuclear energy. increasing exports of U.S. nuclear goods and services. market-driven angle - it is noted as a non-proliferation measure. Rod Adams was not happy to learn that on Saturday, September 22, Allison Macfarlane, the Chairman of the Nuclear Regulatory Commission (NRC), and William Magwood, one of the four Commissioners who serve with Dr. Macfarlane on the five member Commission, held a private meeting with six representatives of groups that oppose the use of nuclear energy. Transatomic Power is trying to develop a “Waste Annihilating Molten Salt Reactor.” Dewan and Massie’s design is fuel-agnostic in the sense that it can run on either uranium or thorium; as the name implies, its signal feature is that it can consume spent fuel from conventional light-water reactors. Shanghai Securities News said China's Ministry of Environmental Protection had already started accelerating the approval process for the nuclear sector. The second phase of the Sino-Russian Tianwan nuclear project in Jiangsu province on the eastern coast was certain to start construction in December. GE Hitachi Nuclear Energy’s (GEH) Global Laser Enrichment (GLE) today announced receipt of its license from the U.S. Nuclear Regulatory Commission (NRC) to build a groundbreaking laser enrichment facility on the 1,600-acre site of the company’s global headquarters in Wilmington, N.C. It could be 2 to 15 times more energy efficient than centrifuge and gas diffusion enrichment. Kalinin 4 was completed on schedule (after the 2007 restart of construction) and for 7 billion rubles ($240 million) less than the 76 billion rubles ($2.4 billion) allocated to the project.Kalinin 4 is a 950 MWe V-320 model VVER-1000 - the same as unit 3, which was approved in 1985 and eventually completed in 2004. Units 1 and 2 at the site are V-338 model VVER-1000s which began commercial operation in 1985 and 1987, respectively. The Kalinin plant is situated in the western Tver region near the town of Udomlya. We have fewer site submissions than usual this week, but having a number of submissions from two big hitter sites means that there is plenty to read. Once again, I'm very impressed by the scope of the (very large) nuclear industry that's covered by the range of submitted posts; there is something in there for everyone. Figured out what that photo was yet? 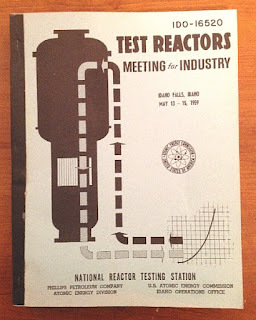 The photo you saw earlier is found in IDO-16520, "Test Reactors - Meeting for Industry" which includes papers submitted for a May, 1959 symposium at NRTS Idaho Falls. This volume is one of many old and rare books in my collection. "..is a closed-tank reactor which can be operated with light or heavy water at pressures up to 300 psi and at temperatures up to 400F. It was placed in operation in 1959 (APR note- this contradicts INL data showing March, 1960) and is used mainly to study the effect of various moderator and reflector conditions on reactor performance." "SPERT-II is an intermediate pressure facility providing considerable flexibility in pressure, temperature, and flow. The system is designed primarily to permit selection of various moderator and reflector materials, principally heavy and light water. Both up and down controlled flow is provided for. The facility is relatively complex and much less flexible than SPERT-I in regard to design modification, static measurements, and instrument installation." 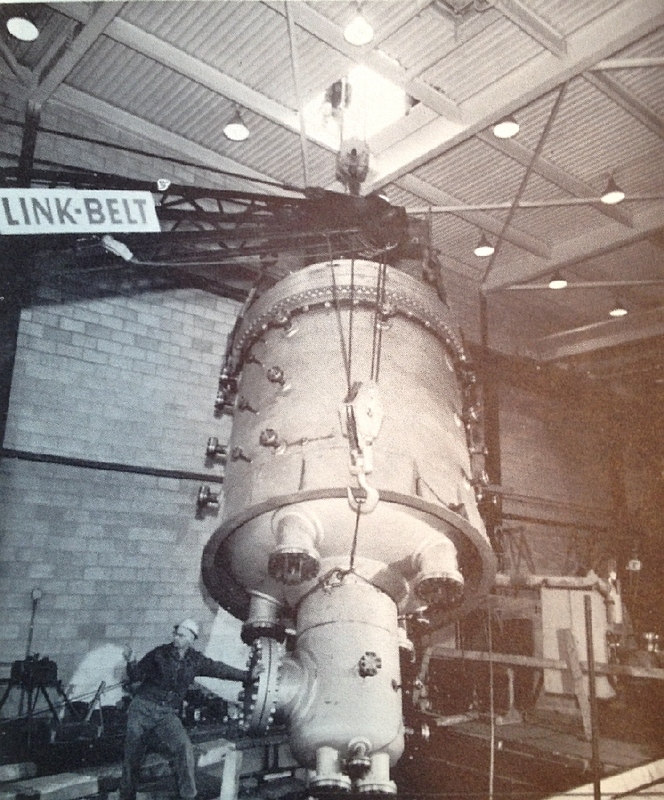 As we might imagine, as a part of the whole SPERT series, this reactor's function was to test transient behavior. As we also might imagine, the information contained in the above two sources does not really tell the whole picture. Suffice it to say that the SPERT-II reactor tested various coolant, core and reflector combinations in transient conditions to explore effects on fuel and material; it also supported research involving neutron lifetime. 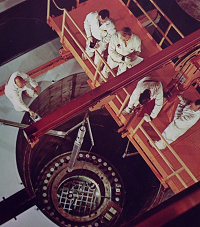 According to "Proving the Principle," the SPERT-II reactor only operated through October 1964. 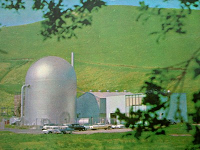 The reactor and associated equipment were dismantled and removed, and the site used for other purposes. 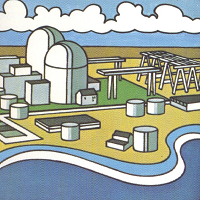 Below, a photo from The Atomic Energy Deskbook of SPERT-II. 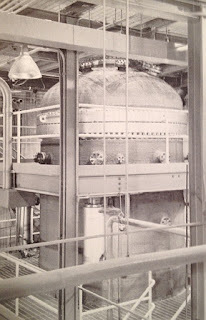 This photo shows the SPERT-II reactor vessel installed as it appeared during the period of plant operation and testing. The SPERT-II facility was conceptually designed and operated by Phillips Petroleum Company for the AEC. 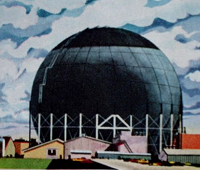 Detailed design (according to IDO-16888, "SPERT-II Reactor Facility", Phillips Petroleum Company ) for SPERT-II was carried out by Stearns-Roger Manufacturing Company as architect-engineer, with Paul Hardeman, Inc. acting as construction contractor. That concludes this week's Carnival! Make sure to continue to visit the blogs during the week for up to date news and analysis.